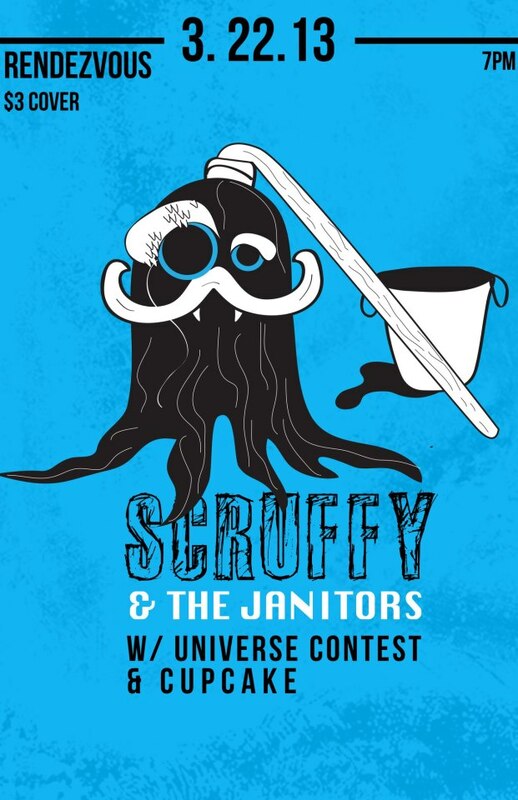 Scuffy & The Janitors are too young to be as good as they are. Instead of selling their soul to the devil; maybe they sold it to Robert Johnson. They are well learned in old blues and are the children of the early 2000’s alternative rock movement that saved the genre. You’ll hear the White Stripes and Strokes come through their music but with each show they continue to whittle away at a sound of their own. Cupcake is… unique. If you are into weird; look no further. Their erratic music will leave you guessing throughout the set and just when you think you know what is going to happen singer/guitarist Marc Darnell and company will do the exact opposite. Each show is an experience of its own and couldn’t be replicated by the band if they tried. Universe Contest is another very distinct band. They throw off the shackles of what is conventional and mix everything from the Pixies to Modest Mouse into a blender, then throw it out the window and play whatever the hell they want. They are out-of-towners that are notorious for their wild and eccentric behavior. Look for a lot of screaming vocals, squealing guitars and stories to tell coworkers at the water cooler on Monday. WHY SHOULD I GO? 3 bands for $3… If you complain about that price you deserve to get to stay home and watch Real Housewives or something. The poster is amazing! Johnna Pasch created quite a memorable little poster for those Scruffy boys; you could rip one off the wall and take it home to put above your fireplace if you want, I might. I want to see Scruffy guitarist Teriq Newton’s face the first time he sees Cupcake live; it is something to behold and I fully expect to see a smoking pair of empty shoes on the ground where he was standing after he sees them play. How about the Vous’ stage backdrop? It is amazing! The concert posters on the walls, the records hanging, the mural, the guitars and drumsticks… It makes for some of the coolest stage pictures you’ll get. Be there, take a pic and put it on facebook and your coworkers will think that you’re cool. This entry was posted in Coming Soon and tagged Coming Soon, Cupcake, Scruffy & The Janitors, Scruffy and the Janitors, The 'Vous, The Rendezvous, Universe Contest. Bookmark the permalink.